Geocaching is a real-world, outdoor treasure hunting game that uses handheld GPS-enabled devices to find geocaches (containers) hidden in different locations. 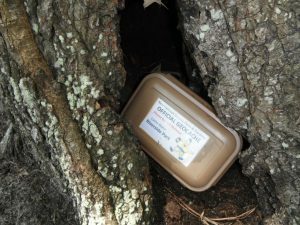 There are currently over 40 geocaches hidden in New Hanover County’s parks locations. 1. Visit www.geocaching.com and register for a free Basic Membership. 2. Watch the video entitled “Geocaching 101” for information on how to hide and/or seek a geocache. Parks & Gardens has hidden 11 geocaches in 11 different parks for a new Geo-Challenge. Download the Geo-Challenge Passport to participate. More details here. 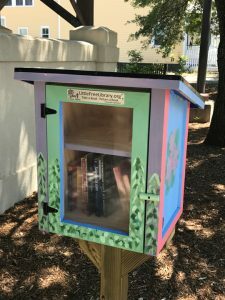 Cape Fear Museum has a Little Free Library! It’s located by the boat pavilion along 8th Street. Next time you’re here, take a book… or give a book for someone else to enjoy!